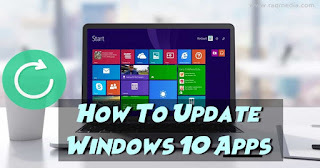 These apps use constant use of the net and if you are running on a Internet packages you may have other important things to spend the bytes on. The user may not consider updating them an important issue. If the operating system is outdated. However; we highly recommend that you keep your OS and all the installed apps or software updates. This may be critical as your machine could be compromised or victim of malwares or Trojans. For more questions or want to suggest other ways to share, we will be glad to read them in the comments box below 👇 😃.